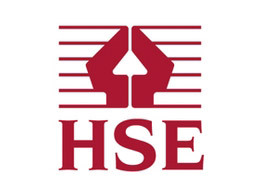 The HSE investigation found that it had been standard practice for Millennium Rubber to use containers and pallets on forklift trucks to lift workers, despite neither being designed, nor safe, for that purpose. "The day Martin was killed was the worst day of our lives, sending shock through the family. After five years we still feel the hurt every day, and it doesn't get any easier. "Martin went to work that morning a fit and healthy, loving family man, and didn't come home to us. Life without him is very different and very difficult. Everyday life will never be the same. "His death has left a massive hole in not only my life, but that of his three grown-up children and eight grandchildren, and the rest of our family and friends. "We feel really let down by the companies he was working for. The accident should never have happened and we wouldn't want anyone else to go through what we are going through." "Mr Denton died because neither company followed basic health and safety procedures for working at height. He should never have been expected to stand in a metal stillage, balanced dangerously on the forks of a forklift truck. "The companies simply did not consider the risks Mr Denton might face if he carried out the repair work to the overhead crane in this way. They should have made sure a safe system for the work was in place before allowing him to start. "It's disgraceful that the practice of lifting workers on forklift trucks had taken place on many other occasions. Sadly, it was therefore almost inevitable that someone would be seriously injured or killed." A total of 27 workers were killed and more than 3,800 suffered major injuries in the manufacturing industry in Great Britain in 2010/11. Information on preventing injuries is available at www.hse.gov.uk/manufacturing.